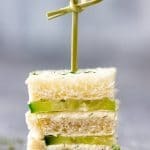 Mini cucumber sandwiches are an easy appetizer perfect for picnics, parties or family gatherings. 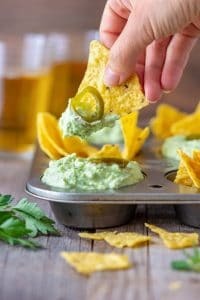 To make these refreshing bites you only need bread, cucumbers and tasty cream cheese mixture. 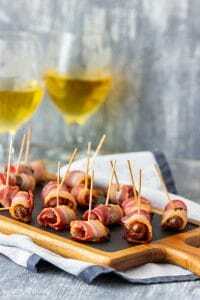 This truly is an easy appetizer, especially when you don’t have much time on hands. They are all ready in under 30 minutes. What is a cucumber sandwich made of? 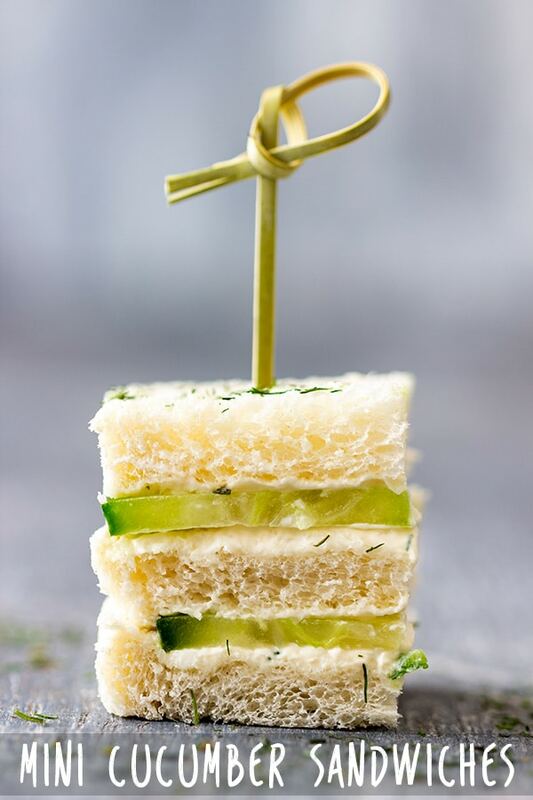 Originally, slices of cucumber were placed between 2 slices of buttered bread (crust removed). 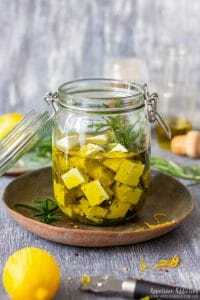 These days, there are many tasty options to make this cucumber appetizer and many of them include cream cheese. And there is no wonder. It goes so well with cucumbers! 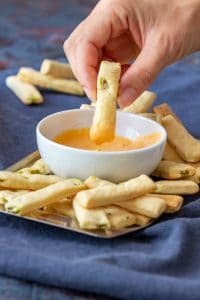 Smoked Salmon Cucumber Bites are a great example of that. 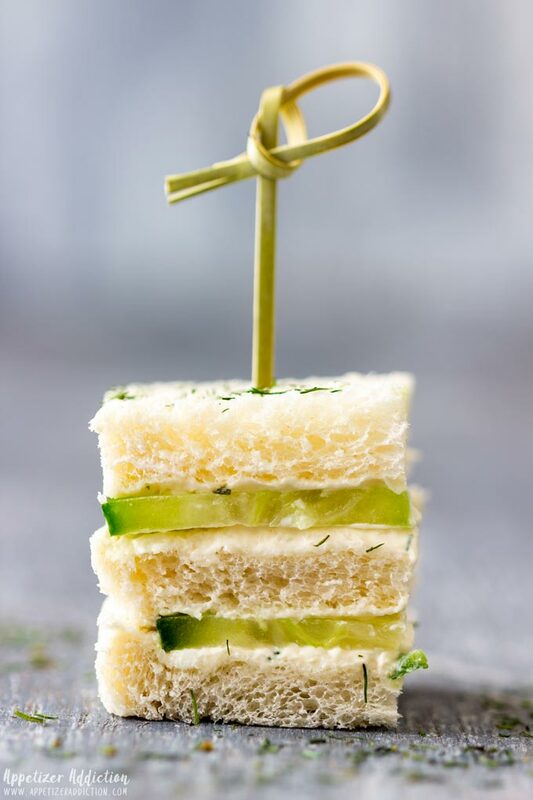 But let’s talk more about these mini cucumber sandwiches. First, I cut it into chunks that are similar size (in length) as the width of the bread I am using. Then I cut each chunk into thicker slices (length-wise). 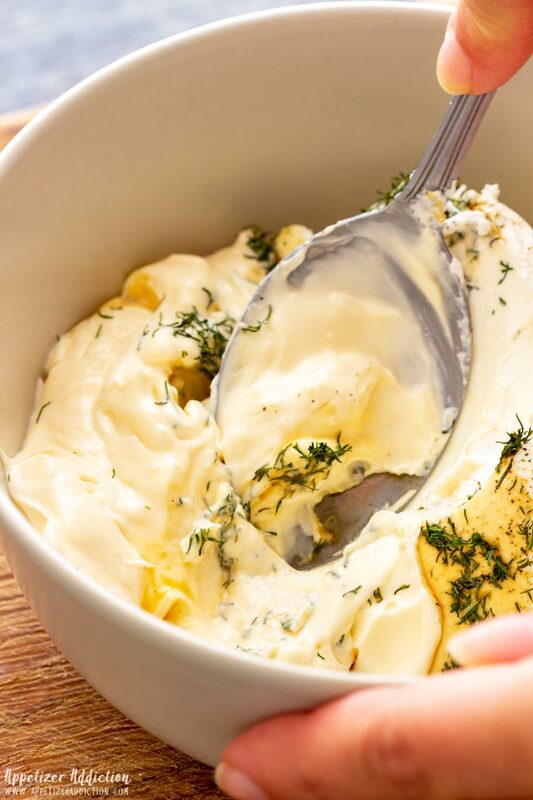 All you have to do is combine cream cheese, mayo, mustard, pepper, dillweed and soy sauce in a bowl until smooth. When ready, you can do the assembling. 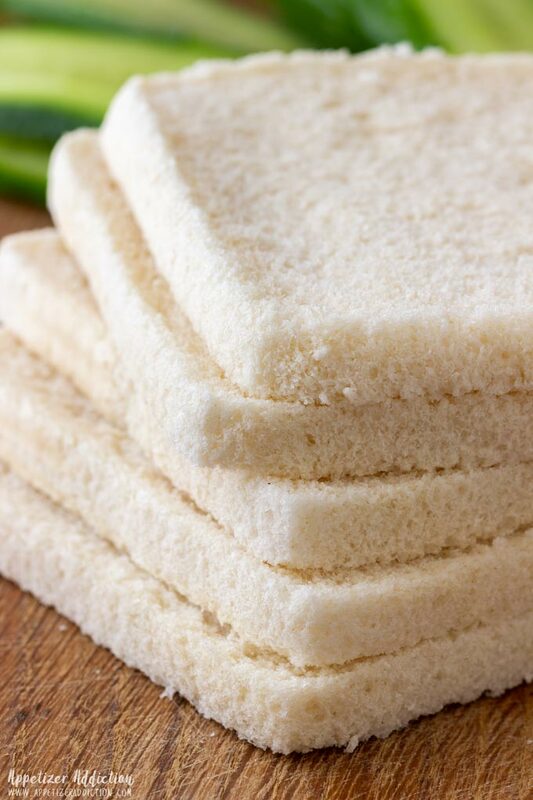 To make 9 mini cucumber sandwiches you need 3 slices of bread. Spread them with cream cheese mixture (the middle slice should have spread on both sides). I always use more cream cheese on the bottom slice, but you don’t have to. Cut into thirds, turn and cut again into thirds. Secure with toothpicks and you are done! 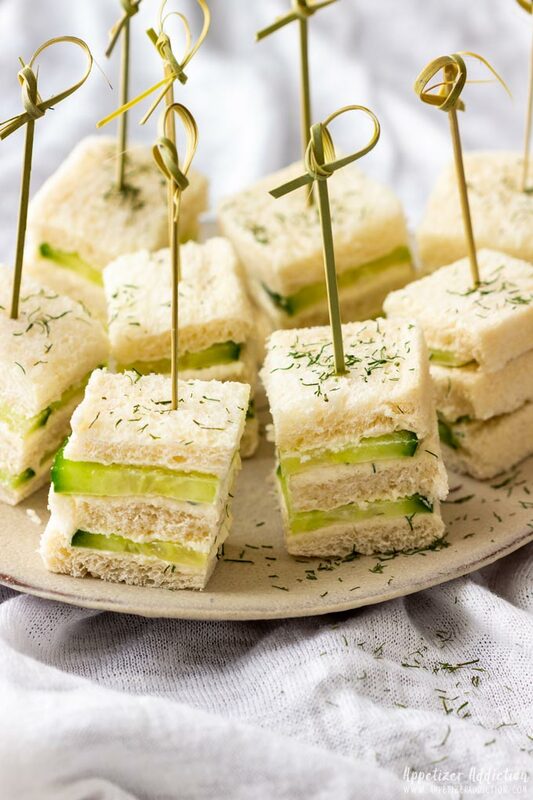 How do you keep cucumber sandwiches from getting soggy? Cucumber consists of water mainly so when sliced it will release its juices. This means that it can make your sandwich soggy, that is why they are best enjoyed right away. The best way is to slice the cucumber into long slices and sprinkle with salt. After about 10 minutes just pat them dry with paper kitchen towels. This will definitely help. 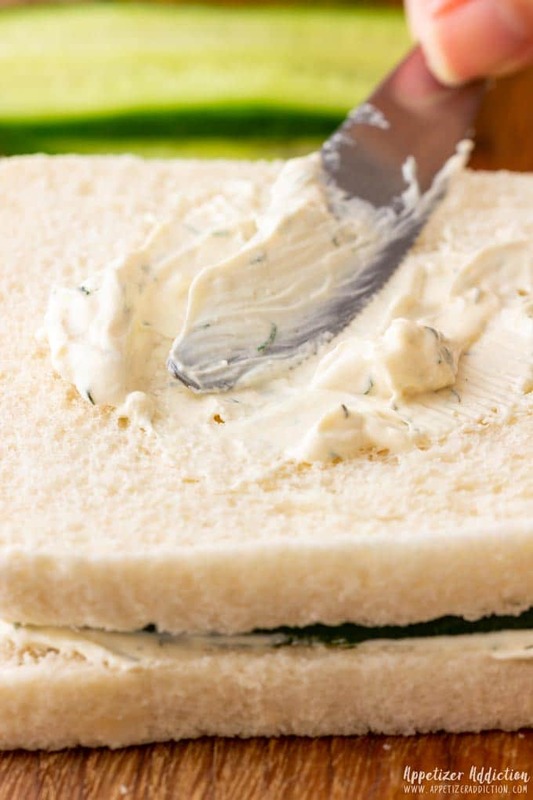 Cream cheese spread also acts as a “wall” between the cucumber and bread which means it kind of protects the bread from turning soggy. I used crustless white bread but you can also use any sandwich bread (e.g. wholemeal) as long as you cut off the crust. Either dried or fresh dill weed can be used. 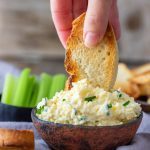 Fresh chives is another delicious alternative! If you don’t like mustard, feel free to omit it. 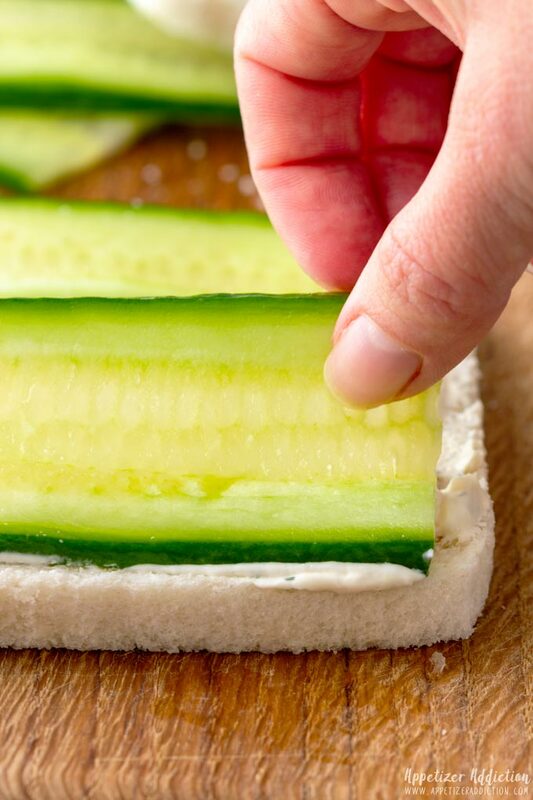 Use a large Chef’s knife to cut the bread into 9 mini cucumber sandwiches and make a quick cut right through the bread. This is the easiest way to cut. Don’t go slowly. I also don’t recommend using a serrated knife (e.g. 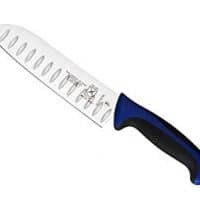 bread knife). Don’t cut the cucumber very thin. If you do, you won’t taste much of it in between 3 slices of bread. 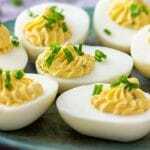 These can also be made using only 2 slices of bread per mini cucumber sandwich. Cut the tops of the cucumber off and peel its skin (optional). Now cut off a chunk that is as long as the width of your bread. Slice it. Repeat again with another chunk of cucumber. Place them onto sheets of paper kitchen towel and sprinkle with salt. Set aside. Meanwhile: Prepare the spread by combining cream cheese, mayonnaise, dillweed, soy sauce, mustard and black pepper (see note 1). With paper kitchen towels remove the moisture that the salt drew out of the cucumber by patting them dry. Spread 3 bread slices with cream cheese mixture. 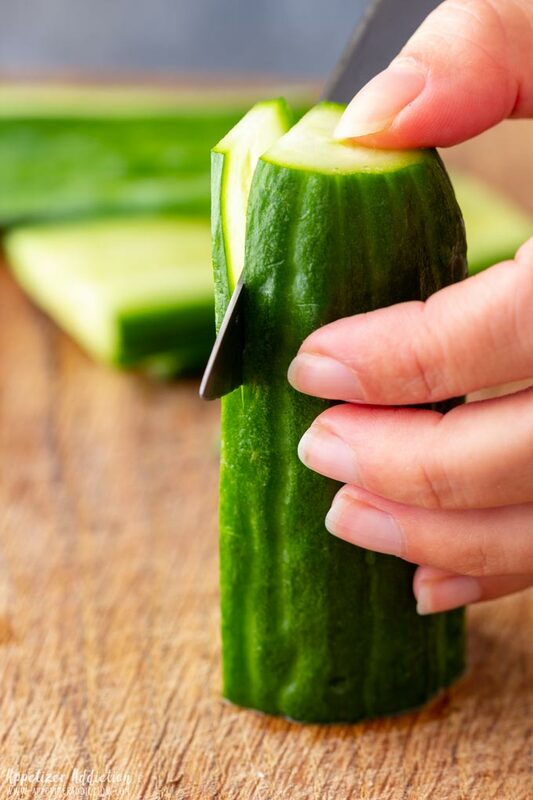 Arrange cucumber slices on top of one of the slices, cover with another slice (the spread-side down). Spread the top of this slice with some more cream cheese. Cover with cucumber slices and top with bread, spread-side down. Cut this into 9 pieces (see note 4), insert toothpicks and repeat with the other 3 slices. 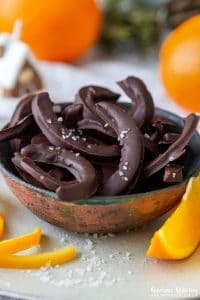 This step can be easily done with a spoon, but you can also use electric whisk, if preferred. Mustard can be omitted completely. 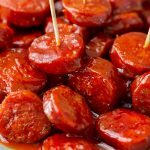 These sandwiches are best served right away or within 2-3 hours (note that this time can vary, depending on various factors) as the longer they sit the soggier they get. 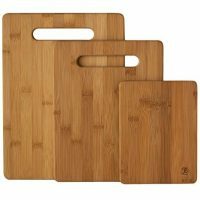 Use a Chef’s knife to cut them. Bread knife (or any knife with serrated blade) does not work well here. The easiest way to cut is to make a quick cut right through, almost like a push through the bread down to the bottom. For more information and tips, please have a look at the whole post. Usually I make these open-faced, but I like the look of yours! I’ve never added soy sauce before – but that makes sense. I will try it! 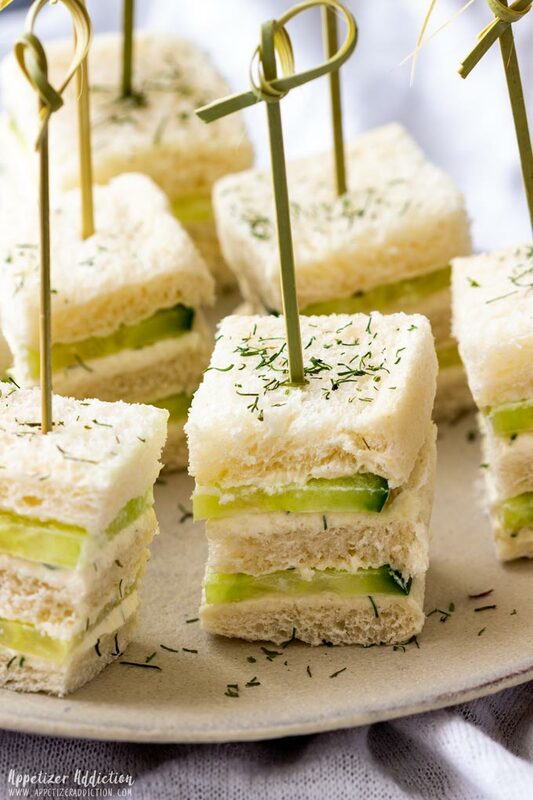 I love to make cucumber sandwiches for parties, but I never thought to use the cream cheese as a barrier to the bread to prevent them from getting soggy! Great idea! I’ll be trying your recipe soon! Good to hear that, Lisa! I love party sandwiches! These are some of my favorites. 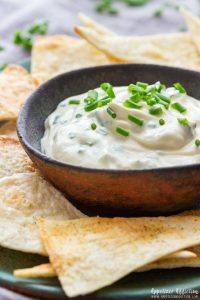 The addition of dill really pairs well with the cucumber and cream cheese. Delicious! I am already hungry looking at your delicious pictures 🙂 They look so cute & adorable. Such an English high tea classic, very cute made in to little stacks like this!